The licence period for main harbour swinging moorings at Cowes is 12 months for cruiser class and seven months for day class vessels; a mooring strop is required (please see below). Cruiser class vessels who wish to remain afloat during the winter months may be accommodated on alternate sheltered moorings upriver. 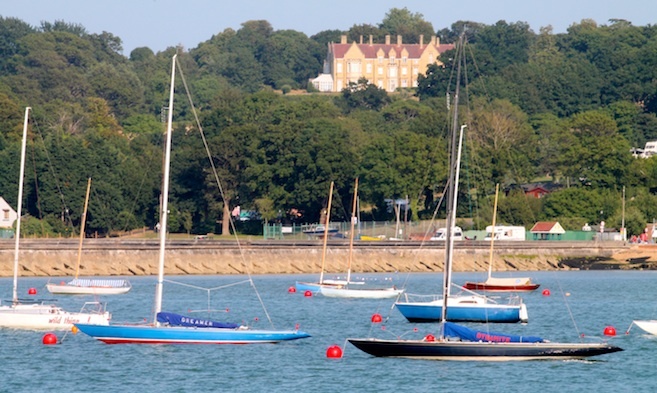 These alternate moorings are allocated by the Cowes Berthing Masters and may consist of vacant resident pontoon moorings or visitor pontoons. 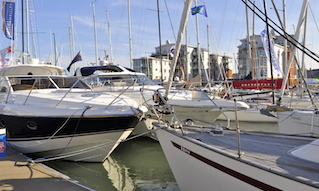 There is no additional charge to annual licence holders for the use of these moorings. See the Mooring Licence Tariffs. 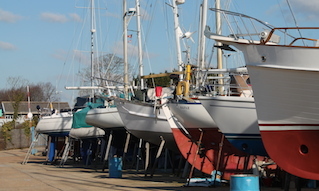 These seasonal moorings are intended for day boats such as X One Designs, Darings, Sonars, etc. whose usage is primarily during the racing season. If you require additional days before or after the licence dates, you may make arrangements to use a vacant resident or visitor mooring. These additional days will be charged at the prevailing rates. Mooring strop required (please see below). There are a small number of moorings suitable for RIBs and other small craft and should only be utilised between 1st April to 31st October. They are located between the Island Sailing Club and the Red Funnel Pontoon. Please note, some of these moorings are drying. N Row moorings do not require a mooring strop. Owners who take up cruiser class or day class moorings will need to provide, at their own expense, a made-to-measure mooring strop. The mooring strop is fitted to the mooring buoy by means of a shackle and remains fixed to the buoy all season long. 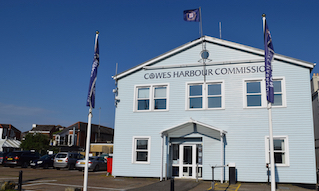 Cowes Harbour Services will fit the strop to the buoy at the beginning of the season and remove and store it at the end of the season. All strops are inspected prior to fitting; however, it is the owner’s sole responsibility to ensure that the strop is fit for purpose. We accept no liability for damage or injury caused by a faulty, damaged, or inadequate strop. Details of local suppliers are available on request.